For most of the twentieth century, inter-Arab politics were dominated by the doctrine of pan-Arabism, postulating the existence of "a single nation bound by the common ties of language, religion and history. … behind the facade of a multiplicity of sovereign states"; and no single issue dominated this doctrine more than the "Palestine question" with anti-Zionism forming the main common denominator of pan-Arab solidarity and its most effective rallying cry. But the actual policies of the Arab states have shown far less concern for pan-Arab ideals, let alone for the well-being of the Palestinians, than for their own self-serving interests. Indeed, nothing has done more to expose the hollowness of pan-Arabism than its most celebrated cause. Emir Faisal ibn Hussein of Mecca became the effective leader of the nascent pan-Arab movement. He placed Palestine on the pan-Arab agenda by falsely claiming that he and his father and brother had been promised the country in return for their anti-Ottoman uprising. Consider, for instance, Emir Faisal ibn Hussein of Mecca, the celebrated hero of the "Great Arab Revolt" against the Ottoman Empire and the effective leader of the nascent pan-Arab movement. Together with his father and his older brother Abdullah, Faisal placed Palestine on the pan-Arab agenda by (falsely) claiming that they had been promised the country in return for their anti-Ottoman rising. In January 1919, he signed an agreement with Chaim Weizmann, head of the Zionists, supporting the November 1917 Balfour Declaration on the establishment of a Jewish national home in Palestine and the adoption of "all necessary measures … to encourage and stimulate immigration of Jews into Palestine on a large scale." Yet when the opportunity for self-aggrandizement arose, in March 1920, he had himself crowned king of Syria "within its natural boundaries, including Palestine." Had either option been realized, Palestine would have disappeared from the international scene at that time. This is not a new subject. It would be to the mainstream media. To the dhimmitudal denizens of this particular subject of enquiry, Islam, as a "religion of peace" and a belief system, is above reproach, even when its true believers and activists are blowing up non-believers by the dozens, hundreds, and even thousands, or machine-gunning them or taking machetes to them. Islam is untouchable. To question its nature leaves news media denizens with dropped jaws one can hear thud on the floor. It leaves them aghast and in horror. To them, Islam can do no wrong. There's nothing wrong with it that a little patience and interfaith dialogue can't resolve. It's a needless cultural clash that can be reconciled peacefully. A negotiated settlement is possible. Muslims just want to be left alone and not be stereotyped or mocked or defamed. All the mullahs and imams need to do is put a leash on Islam's hotheads to curb their youthful - and oft times middle-aged - exuberance, and then everyone can grab a ribbon and dance around the Maypole of Diversity to the tune of a Tiny Tim song. A few months ago, I took the oath and became a US citizen. Originally from the Islamic Republic of Iran and Syria, I grew up, lived, and worked for most of my life in these countries. I grew up under the theocratic regime of the Supreme Leader Ayatollah Ali Khamenei and the autocratic and repressive regime of Assad. Although being an Iranian-Syrian is not a common combination in the region—since Arabs and Persians (or Sunni and Shia) have traditional rivalries and sometimes hold racist view against each other— I had the opportunity to grow up in both versions of Islamic religious societies: the Shia and the Sunni, as well as Persian and Arab (though some Syrians might call themselves Phoenicians). This also allowed me to understand the on-the-ground socio-political and socio-religious platforms of these predominantly Islamic societies. Jill Schneiderman is an unlikely warrior for Jewish rights. A professor of Earth sciences at Vassar College and a lesbian activist, Schneiderman’s political passions put her smack in the middle of the far-Left academic mainstream. At least they did until she decided to organize a student trip to Israel to study water issues. To get a sense of just how far to the Left Schneiderman is, when her initiative ran into trouble, she contacted fanatic anti-Israel activist Phillip Weiss to ask for his support. Hers was not going to be a ZOA student mission to Israel. Scheiderman needed help, because when the Vassar chapter of the anti-Semitic hate group, Students for Justice in Palestine, got wind of her initiative, their members began picketing her pre-trip seminar. They stood outside the classroom and pressured students to drop the class. While in Hungary for the 70th anniversary of the murder of the Hungarian Jews by the Nazis on Monday, Chief Ashkenazic Rabbi David Lau and Deputy Religious Services Minister Eli Ben-Dahan met with Hungarian President Janos Ader. The rising anti-Semitism in Hungary was a key topic in the meeting, which took place in the Hungarian capital of Budapest. Ades announced that recently a law has come into effect that would allow civilian courts to try cases of anti-Semitic expressions, in addition to the existing option of criminal court processes. Additionally, the law allows the trial of those speaking against a community, and not just against individuals. I recollect nostalgically the Orthodox rabbis with whom I was acquainted in the Diaspora. With the exception of the Hungarian ultra-Orthodox who deliberately isolated themselves from the broader community and the fanatically anti-Zionist Satmar Hassidim, they were all committed to the communal welfare. Former President Jimmy Carter. Photo: www.reddogreport.com. Former U.S. President Jimmy Carter confused Israel’s demand for the Palestinian Authority to recognize it as a ‘Jewish state’ for meaning that all Arabs living there would need to convert. Carter continued, incorrectly implying that the 1.5 million Arab-Israelis citizens would either have to convert to Judaism or leave, rather than recognize that the essence of the country, it’s laws, calendar, legal structure, would be based, as they are, on Jewish tradition, rather than Muslim or Christian ideals. Bob Knot in the comments has a tour de force of investigative journalism that destroys the recent libel claiming that Israeli troops fired on the feet of "Palestinian football players" and exposes the people using that incident to disqualify Israel from FIFA as liars. Here I reproduce the comment as a single post. I found the news about the two young “Palestinian” footballers that were shot by Israeli border police and the growing demands to ban Israel from International competitions upsetting. I know that Zionists “control the world” and all that; there is nothing really to fear, but still, I had to dig up information on the incident. It would seem that the anti-Zionist Jew-hating camp never miss an opportunity to demonize and smear Israel . Dusty of Pro-Israel Bay Bloggers wrote about this new libel here and so did Edgar of Confronting anti-Semitism and Israel hatred on his blog here . Unfortunately, it is not enough. There are now many calls for the expulsion of Israel from FIFA. Finance Ministry claims Foreign Ministry employees are well paid and have no reason to strike • Finance Ministry: Many make more than 20,000 shekels ($5,700) per month, double the Israeli average • Workers: Finance Ministry's data is false. As the Foreign Ministry strike entered its third day on Tuesday, striking employees directed citizens in need to phone Finance Ministry Wage Director Kobi Amsalem. The Finance Ministry has said that the salary increases being demanded by Foreign Ministry workers amount to some 140 million shekels ($40 million). Foreign Ministry employees, who are asking for Prime Minister Benjamin Netanyahu's intervention, have received the cold shoulder from Foreign Minister Avigdor Lieberman. Lieberman released a statement at the beginning of the week condemning the strike. Muslim influence on post-apartheid South African politics would make an interesting subject for a serious, dispassionate academic study free from subjective or emotional involvement . Credit is due too to Ahmed Kathrada who was jailed with Neslon Mandela on RobbenIsland. 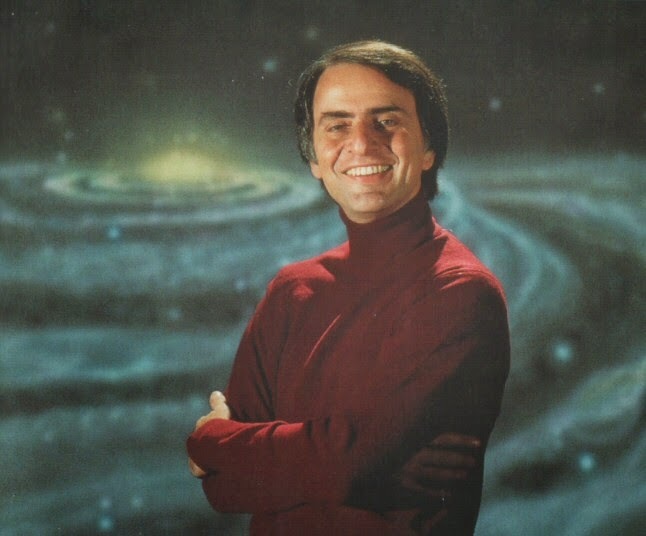 The reemergence of Cosmos could not have come at a better time, not because it has something to teach us about science, but because are living in Sagan's world where real science is harder than ever to come by. process into a philosophy, substituting political agendas for inquiry and arrogance for research. Sagan was often wrong, but it didn't matter because his errors were scientific, rather than ideological or theological. He could be wrong as many times as he wanted, as long as he wasn't wrong politically..
Science has been thoroughly Saganized. The vast majority of research papers are wrong, their results cannot be replicated. The researchers writing them often don't even understand what they're doing wrong and don't care. Research is increasingly indistinguishable from politics. Studies are framed in ways that prove a political premise, whether it's that the world will end without a carbon tax or that racism causes obesity. If they prove the premise, the research is useful to the progressive non-profits and politicians who always claim to have science in their corner. If it doesn't, then it isn't funded. Several members of a terror cell in Shechem, which opened fire on Israeli cars at Jit Intersection next to the Samaria community of Kedumim, were arrested in a joint mission between the IDF and Israel Security Agency (ISA, or Shin Bet). Permission was given today (Monday) to release details about the incident, which took place on January 15. The rifle used in the attack was seized at the time of the arrests. The shooting attack fortunately did not cause any injuries, even while it damaged the car. Later on, the cell threw an explosive at an additional passing vehicle. Shin Bet interrogations of the arrested terrorists revealed that in the two months proceeding the attack, the cell was involved in two other shootings which were unsuccessful, despite the fact that the terrorists gathered information and conducted shooting practices. The terrorists held by Israel include Abd Al Jabar Amad Na'if Shakhshir (23), and Jahad Ahmad Adel Shakhshir (21). Several of the terrorists were arrested by Palestinian Authority (PA) police, and are currently still being held by them. Fatah spokesman: Israeli flag's two stripes show Israel's goal to rule "from the Euphrates to the Nile"
but the entire Arab nation [from Israel]"
One of the ways the PA promotes hatred of Israel is through fictitious libels that portray Israel and Jews as scheming against Palestinians, Arabs and Muslims. Palestinian Media Watch has documented that since the days of Arafat, the PA has repeatedly promoted the libel that Israel is actively planning to conquer large portions of Arab lands to expand Israel's jurisdiction from "the Nile to the Euphrates." There are those in Israel who stress out over the hysterical, enraged comments made by the U.S. State Department in response to Defense Minister Moshe (Bogie) Ya'alon's remarks. But precisely the outrage tells me that something else is going on and that this isn't about being offended but a strategic, calculated response. Whoever looks at Ya'alon's remarks on U.S. policy in the Middle East and particularly in Iran, does not understand what exactly upset the State Department and what so angered the Americans they demanded an explicit apology from the defense minister. After all, Ya'alon's comments perfectly reflect the State Department's policies, one by one. If people in the State Department think there's a problem, the problem is not what Ya'alon said but with whoever formed the negligent, out-of-touch foreign policy. It seems the U.S. State Department truly believes their competent, calculated foreign policy succeeded in preventing the chaos in Egypt in recent years, succeeded in thwarting the ongoing slaughter in Syria, stopped Iran's nuclear arms race, and deterred Russia from annexing the Crimean peninsula. According to the Americans, only Ya'alon is unaware of their great success and sees it as a failure. Why did Harvard students visit Arafat's grave? Harvard University students take trip to Ramallah, post picture on social media next to Yasser Arafat's grave • Trip funded by Jewish donors, supported by Harvard Hillel. We have gotten used to seeing pictures of American students almost everywhere in Israel -- at the Western Wall, the beach, the airport. But a recent photograph taken in a much less conventional spot has sparked a controversy within the U.S. Jewish community. Students from Harvard University who are on a sponsored tour to Israel posted a group photo last week next to former Palestinian leader Yasser Arafat's grave in Ramallah. Some 50 students from all over the world attended the Harvard College Israel Trek 2014, which took them all over the country and included meetings with Israeli officials, and Israel Defense Force officers. Initially, John Kerry seemed entirely copacetic with Benjamin Netanyahu’s requirement that the Palestinians recognize Israel as a Jewish state as the basis for any peace agreement. After all, Mahmoud Abbas had already declared that no Jews would be allowed to live in any future Palestinian state, although more than a million and a half Arabs live in Israel. Palestine, like almost all the Middle East but Israel, would be judenrein. But then Abbas refused and, first via the State Department’s Jen Pseki and then through his own words, Kerry started to walk his agreement back. He even claimed Netanyahu’s insistence on recognition was a “mistake.” In all probability Obama got to the secretary of State and changed his marching orders. What went wrong? He only said out loud what everyone is thinking. The writer is National Vice Chairman of the Zionist Organization of America, member of the Executive Board of the World Likud, member of Ariel University's International Board of Governors and Vice President of Children of Jewish Holocaust Survivors, Los Angeles. He practices law in Los Angeles. The politically correct set in the United States State Department became enraged and almost hysterical when Defense Minister Moshe "Bougie" Ya'alon decided to "give them hell". That is, Ya'alon told the truth, and they "thought it was hell". Specifically, Ya'alon correctly pointed out that, as a result of American passivity, Russia has taken military action against the Ukraine, China has become more aggressive in southeast Asia, and Iran is continuing to march towards obtaining nuclear weapons capability. Minister Ya'alon accurately noted that the perception of the international community is that the United States is afflicted with "feebleness," which is jeopardizing the current world order and undermining the security of the democratic nations, including the United States. Suffering from grievously wounded feelings, U.S. Secretary of State John Kerry reacted immediately. He and others In the Obama Administration telephoned Prime Minister Netanyahu and demanded that Minister Ya'alon be forced to apologize for saying out loud what everyone is thinking. This is the second time the State Department has taken umbrage at Minister Ya'alon's candid observations. Several weeks ago they complained bitterly when Minister Ya'alon rightly noted that Secretary Kerry was "messianic" and "obsessive" in his desperate efforts to force a peace agreement between Israel and the Palestinian Authority and that the proposed security arrangements in the Jordan Valley were useless.